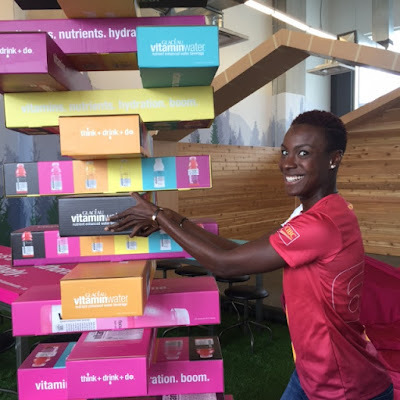 Another reason why Coca-Cola wants to be involved in the sponsorship of sport - athletes. After all, what's a better health-washing visual for sugar water than it surrounding, or better yet, being consumed by elite athletes? 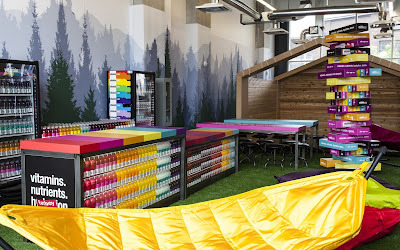 Vitamin Water, the same beverage that Coca-Cola defended by suggesting no consumer should ever confuse it with a healthy beverage, features pretty prominently in the Pan-Am Games' athletes' village in their relaxation hub (know as "The Cabin). It's apparently a giant game of Jenga. How many more years before sport begins to reject sugar water money? I'm betting within the next decade.